“Behind The Gates” Series: Fairbanks Ranch Driving Tour Behind The Gates. Fairbanks Ranch is a rarity, in that it is one of the nicest gated communities in the San Dieguito River Valley in Rancho Santa Fe. It is a gated community of exclusive estates and mansions. It is the only gated community where the gate guards and patrol all have guns and will use them. People buy in this development because of the park like grounds, the equestrian facility and the 9 hole putting green. 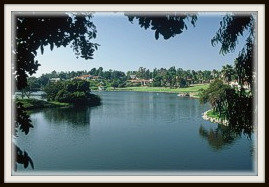 A significant part of Fairbanks Ranch is centered around a lake, that is absolutely breathless. A bit of history: Once part of the historic Spanish Land Grant, the ranch was purchased by Douglas Fairbanks in the 1920’s. 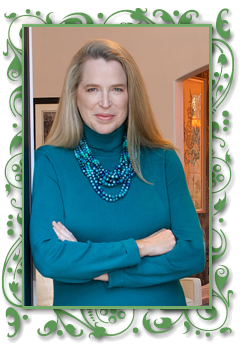 Here are the parallels with Del Mar, and all the actors who came down to our area for the summers to gamble at the Del Mar Race Track, frolic at the Del Mar Beach and stay with others who had homes on the sand in Del Mar. Douglas Fairbanks and his wife Mary Pickford owned more than 3,000 acres of the area, which they called Rancho Zorro. Today Fairbanks Ranch is comprised of two components, 618 residential lots, which have custom homes built by each individual lot owner. The rest is built by Fairbanks Ranch Country Club made up of 341 production homes. I took a “semi” quick drive through Fairbanks today, got behind the gates to give you a sense of the splendor and specialness of this area. Please turn your speakers up because I do talk about the area as I am driving and pass on facts here and there along the way.